Playing with on patterned surfaces is a wonderful sensory activity for 3-year olds. This is a 3-year old activity that can be played with simple supplies from home and will provide the kids with a nice time. 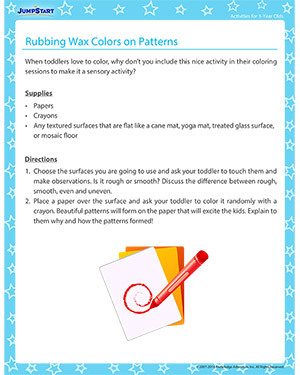 A cane mat or a yoga mat would be excellent sensory tools to complete this activity with your preschooler. Browse our other activities if you like this one!